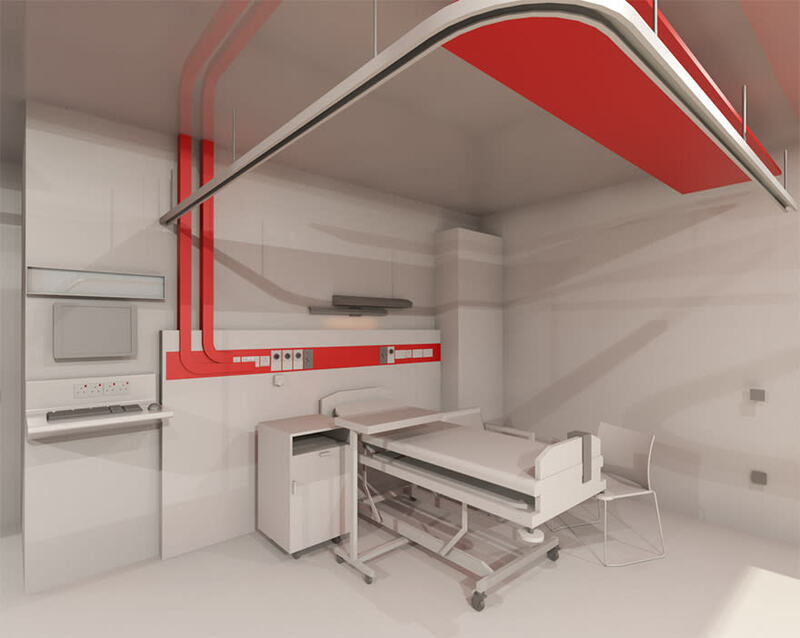 The new concept of the Revit “super-family”, advanced clash detection software, and an early implementation of the NBS Toolkit, are helping drive efficiencies on the £160m [amended] Hampshire Critical Treatment Hospital. Architect Stride Treglown is working with Hassell on the design of the massive 37,500 sq m facility, the largest hospital project ever delivered under the ProCure 21+ framework, which is due to begin construction in around six months on a site near Basingstoke. Stride Treglown is also taking on the role of BIM co-ordinator. The project is the first of a new wave of hospitals designed to provide only specialist and critical care services with rapid 24/7 emergency access for the surrounding population. It comprises a 1,860-room main hospital building spread over six storeys, designed by Stride Treglown, a cancer treatment centre, designed by BDP, plus an energy centre, a pathology building and an ambulance station. Stride Treglown considered the use of BIM as critical to helping reduce construction costs, avoiding unnecessary work on site due to clashes, and providing the Trust with an asset model to help it manage the operation of the building. The project is currently entering RIBA Stage 4, with Stride Treglown being novated to the main contractor’s team, and still subject to frequent design alterations. The need for regular design changes by consultants, coupled with the sheer scale of the hospital, informed the creation of a clever new library system for designing in Revit, which the architect nick-named the “super-family”. Revit enables clusters of items to be assembled into families, that can be altered outside the project, then reinserted into it. 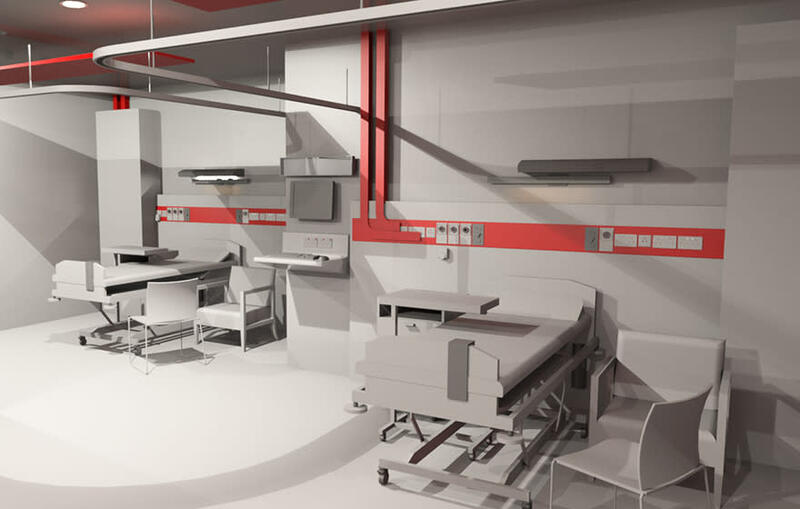 For example, an individual bedroom layout in the hospital, when taken into a family environment, can have different elements rearranged, equipment added or removed. Once loaded back into the main project, all 300 bedrooms update to the same specification simultaneously. This makes the design process faster and more efficient and guarantees that all bedroom elements are identical without the need for checking the model. Stride Treglown took this concept one stage further by requiring that anything mechanical or electrical with an end device, such as a sink, a socket, or a grill, was included within each family. In addition, where typically the architect and M&E consultant would create their own Revit families internally, here a common data environment enabled Stride to collaborate with the services engineer, Hoare Lea, in the same family environment. “Now we can build a super-family to a BIM Level 2 standard, containing all the correct Uniclass 2015 classification and COBie parameters, where typically architects would use M&E components that would not contain the right level of data,” explains Dean Hunt, BIM coordinator at Stride Treglown. Further design efficiencies have been driven by the use of the BIMcollab software, a plug-in that enables BIM authoring software to talk directly to clash detection tools, such as Solibri Model Checker, via the cloud. Efforts to help the project achieve the government definition of BIM Level 2 have included the use of a BIM Execution Plan, CIC protocols, BS1192 naming conventions, COBie and more. According to Stride Treglown, the biggest challenge has been implementing Uniclass classification tables using the NBS Toolkit, which is still in a beta stage. With the Digital Plan of Work only in Beta, Stride Treglown has not been able to use it to its full potential, and has been repeatedly forced to change its coding for objects whenever the classification tables are updated. Despite these frustrations, Hunt admits that the Toolkit’s final implementation should be a very useful asset to projects. “The client will be able to see which consultants are liable for which objects, what level of detail they should be achieving, at each stage of a project. It will make it easier to assess progress and how consultants are performing,” he concludes. Now we can build a super-family to a BIM Level 2 standard, containing all the correct Uniclass 2015 classification and COBie parameters, where typically architects would use M&E components that would not contain the right level of data. – Dean Hunt, BIM coordinator, Stride Treglown.